The mission of the Paleo and Polar Climate (PPC) section is to enhance understanding of the workings of the climate system through investigations of past climates and the role of polar regions in climate variability and change. 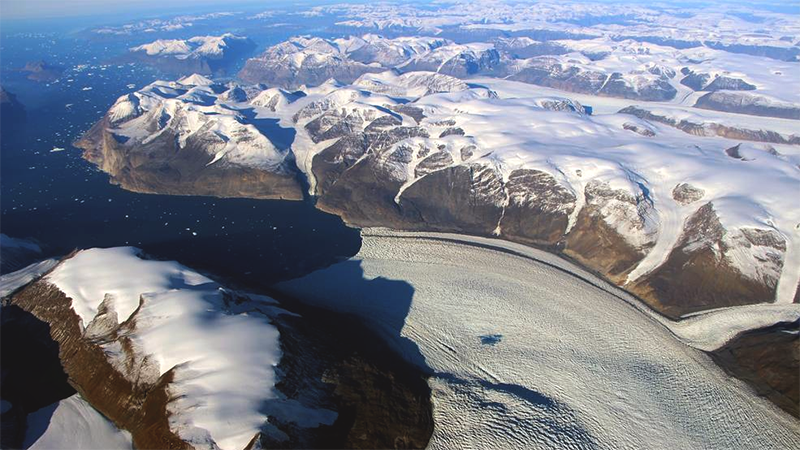 NCAR land ice research focuses on understanding and simulating the evolution of land ice – particularly the Greenland and Antarctic ice sheets – and its implications for global climate and sea level. This research involves developing and applying the land ice component of the Community Earth System Model (CESM): the Community Ice Sheet Model (CISM) and the snow physics in the Community Land Model (CLM). PPC land ice work is closely aligned with the CESM Land Ice Working Group, which partners with universities and other research laboratories on community projects. NCAR paleoclimate research focuses on using the Community Earth System Model (CESM) to simulate climates of the past. PPC Paleo is closely aligned with the CESM Paleoclimate Working Group hosting students, postdoctoral fellows, and faculty visitors, and partnering on community projects. NCAR sea ice research focuses on using the Community Earth System Model (CESM) sea ice component to investigate the climate of polar regions. PPC sea ice work is closely aligned with the CESM Polar Climate Working Group. We are interested in understanding the climate of the Arctic and Antarctic and potential predictability in the sea ice cover of both hemispheres.